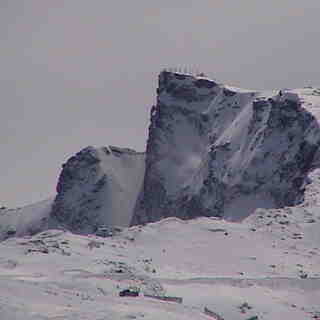 Is it snowing in Sierra Nevada ?Merci! There are few places in the world where you can ski in the morning then head to the coast for a swim in the afternoon, but the proximity of Sierra Nevada to the Med allows this. Don't be fooled into thinking that the skiing will be second rate either. 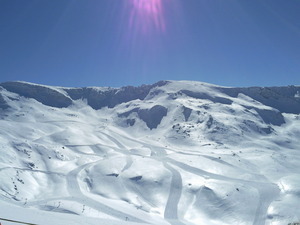 21 lifts serve 107 km of piste at the Sierra Nevada but it can get busy at the weekends with bottlenecks at the lifts. The pistes lend themselves to the intermediate but there is ample off-piste skiing for the advanced riders. Off the pistes, there are some good restaurants and lively bars. 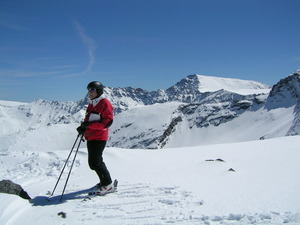 If you get bored or the snow is not as good in the Sierra Nevada, just head for a beach! A halfpipe was added to the snowpark Sulayr in 2011 (165m long and 6m high). It is the biggest in Spain. 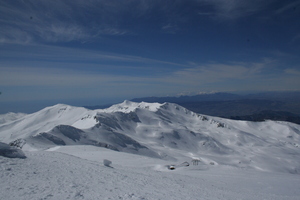 The snow junior world championship was celebrated in this park. 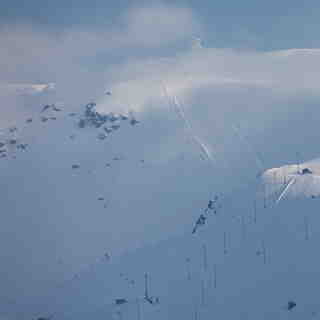 It is the longest Slopestyle line in Europe with over 77 different obstacles and up 46 possible in any one run! The Snowboard & Freestyle World Championships 2017 are being being hosted here in March. Resort is unprofessional. They have closed it several times this season as late as 11am in the day, meaning lots of people traveled there to find it was closed. Not worth booking a holiday to, but if you live locally, it's worth it. When it has been open, it's been quite busy; at the weekend the lift queues are 10-15 minutes in the busy areas. However, the pistes are wide and never felt very busy. It is a good resort for beginners, intermediates and families and the snow park looked great. However, there's not much for advance skiers. My advice, for serious skiers, would be to stick to the Alps.